Very Good. How I Spent My Summer Vacation (Dragonfly Books) by Teague, Mark, 1997-07-08. Trade paperback (US). Picture book. Glued binding. 32 p. Contains: Illustrations. Dragonfly Books. Intended for a juvenile audience. Good. 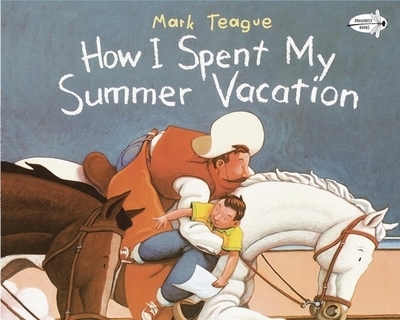 How I Spent My Summer Vacation (Dragonfly Books) by Teague, Mark, 1997-07-08. Trade paperback (US). Picture book. Glued binding. 32 p. Contains: Illustrations. Dragonfly Books. Intended for a juvenile audience. Fair. 0517885565 Ships from Tennessee, usually the same or next day. Loved this book, anything that Teague does is just fabulous!